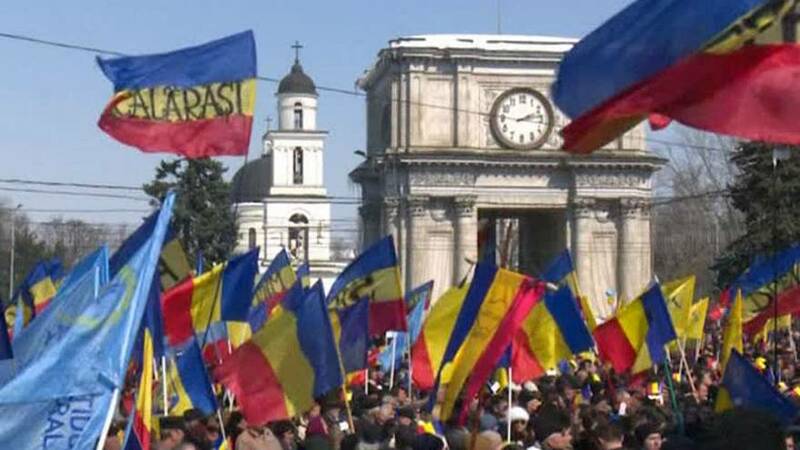 More than 10,000 people took to the streets in Moldova on Sunday to call for the country's reunification with Romania. The demonstration highlighted the tensions between pro-Western and Moscow backed factions ahead of elections in November. However, a union between EU member state Romania and its neighbour to the northeast remains unlikely. The two countries were briefly unified in the aftermath of World War One, forming what was known as Greater Romania. Moldova was annexed by the Soviet Union in 1940, becoming independent under its new name when the USSR collapsed in 1991. It is now split between a Romanian-speaking majority, and the breakaway region Transnistria — one of several separatist regions in former Soviet republics under Moscow’s wing.